As the release date of the new video converter x2VGA is getting closer, we would like to illustrate its main features and characteristics in the following article. Enhanced Graphic Adapter (EGA) in both 200 and 350 lines mode (15 kHz and 21 kHz). Anyhow, it accepts any digital video signal which has a horizontal frequency between 12.5 kHz and 50 kHz and a vertical frequency between 30 Hz and 70 Hz. The “x” in x2VGA means in fact that it accepts any digital TTL signal, despite its format or frequency. Which are the differences between x2VGA and CEV2TV? 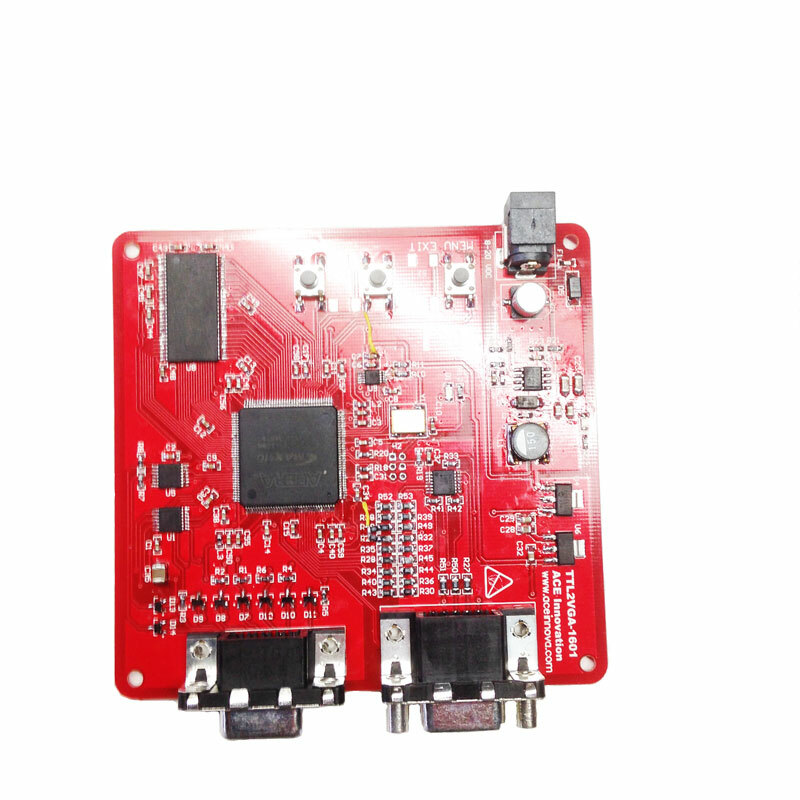 CEV2TV does not convert input signals into VGA, it only converts them into composite video, S-Video and/or SCART throught the use of the best and most famous RGB encoder, Sony CXA2075. Besides, the conversion can be realized only if there is an input VGA, CGA or EGA signal, with a horizontal frequency of about 15,6 kHz. Even if CEV2TV is used for the replacement of old CRT monitor as well, its main function is to reproduce old formats on a cathode ray tube TV without adulterating the quality of the video. 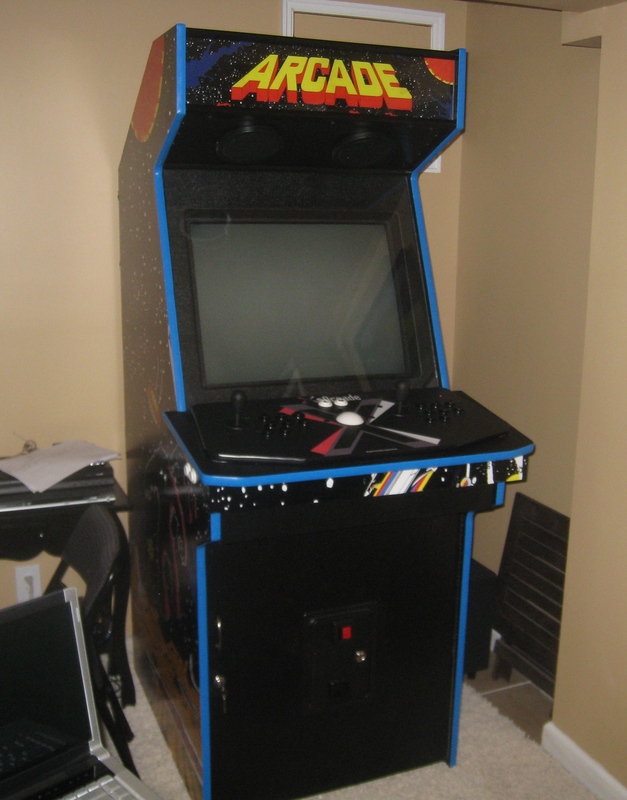 The classic use of CEV2TV is inside MAME arcade cabinets, where the video has to be transmitted from a PC with a 15 kHz VGA board to a RGB cathode ray tube TV. CEV2TV is also used to show a video generated by JAMMA board, CGA or EGA boards on a high quality TV (to play old DOS games, for example). On the contrary, x2VGA has been realized to allow the replacement of old CRT monitors with modern LCD monitors on industrial machines of any brand or typology. 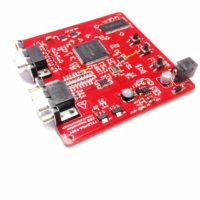 x2VGA converts any digital format to VGA. It is equipped with OSD (On-Screen-Display) through which the user can calibrate any element of the screen (i.e. zoom, clock parameters, etc…).